I ended my trip to India with Fr. 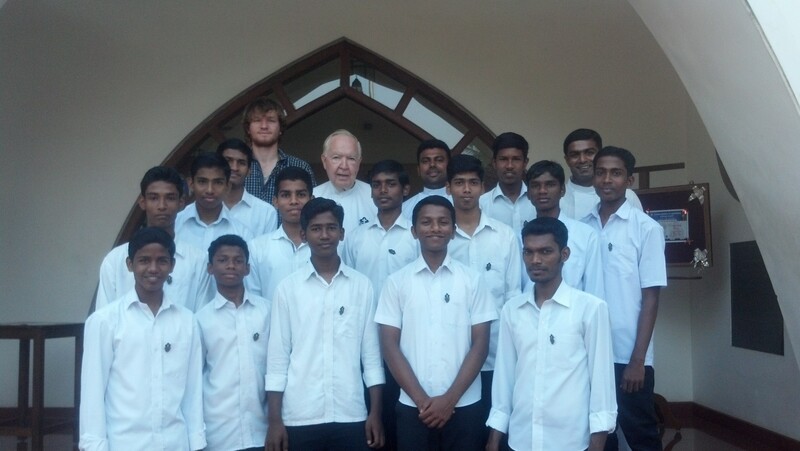 Joe Van Leeuwen and the Passionist community of Thoppumpady, Cochin. I have thoroughly enjoyed my time here with the Passionists, where I had the opportunity to get to know the Fathers and students fairly well, as they are so welcoming and outgoing. I’ve spent time playing table tennis with the students, as well as a little guitar for them. One of the first things I did was attend a couple’s 61st wedding anniversary. It also happened to be the groom’s 93rd birthday. Wow,talk about two great accomplishments! Fr. Joe took the time to show me around. We first took a stroll down the coast of Fort Kochi, where a beautiful view of the water and Cochin’s International Shipping Expo serve as a background for the many little shops and stalls there. Then another night we attended the International Folk Fest in Fort Kochi, that consisted of many styles of dances, music, and acrobatics from different parts of India and the surrounding areas. 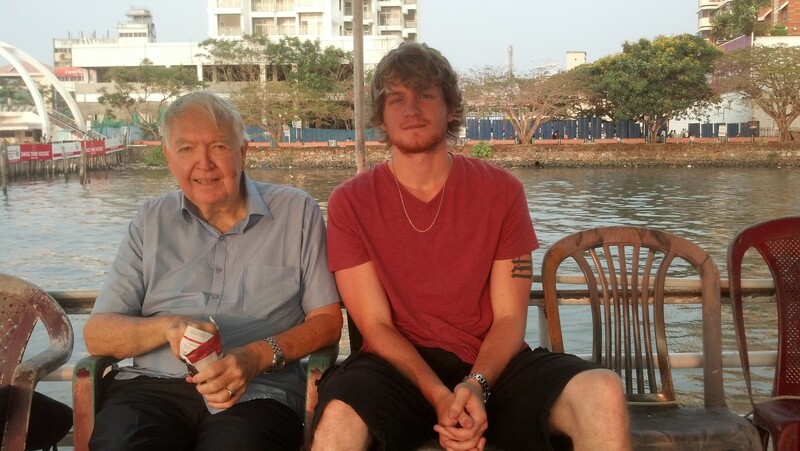 After showing me around downtown Cochin one evening, Fr. Joe and I took a boat ride around the islands. I learned that not too long ago each island had it’s own palace and king. Today some of those palaces are tourists’ resorts. I really enjoyed visiting the island of Vypeen. There I attended an outdoor Mass and visited a new grotto. On a later occasion I went to visit the Passionist Parish and Priests in Palliport. The two Fathers there were just as fun and welcoming as those in Thoppumpady. There I also got to visit the beach, where I made some new friends from up North. Tonight we will celebrate the Feast of St. Gabriel. In preparation we’ve been putting up decorations all week. I look forward to attending and making even more memories. I will leave for home on Monday morning (weather-permitting in Chicago, of course). I hate leaving already, but I look forward to coming back one day and revisiting with my new friends, as well as keeping in touch with them via email in the meantime. What an adventure it has been! I stumbled across this article and what a wonderful surprise to see my dear old paderi from Carbondale, Southern Illinois! Fr Joe is a man who walks in the footsteps of Jesus. And like Jesus, he gives his heart to all those who are fortunate to meet him in his wanderings. Previous Previous post: Which Comes First–Love or Knowledge?